The current stop smoking medications on the market can do more than double your odds of quitting for good. This is why, it’s so important to gather the factual and up to date information on what will make this your final try. Consult your doctor with as much knowledge as you can, making the consultation much smoother and positive for the both of you. The majority of medicines on the market that represent NRT (nicotine replacement therapy) in a legal dose will require a prescription. The other prescriptions available do not contain nicotine. They help control the cravings and work by lessening your happiness in smoking. Stop smoking medications can also be found over the counter. It is recommended to use these aids anywhere from 3 to 6 months. Cost should be considered but the gains should also outweigh the cost. If you are successful, then becoming an ex smoker is priceless and the expense of quitting will never be given a second thought! Expect to consult your doctor throughout the process as some medications will require tapering off. Also, any concerns of side effects should be noted and addressed in using any stop smoking medications. The over the counter choices vary in nicotine content and delivery system, from gum to patches, lozenges and nasal sprays. These products are also a good choice in dealing with cravings and being able to do so in a discreet manner. The gum has a pepper taste and will make your mouth tingle. You will be directed to chew the gum then hold it against the inside of your cheek, in order to release the nicotine into your system through tissue. You can chew up to 24 pieces of gum a day. The bonus is your stop smoking medication is also keeping you busy! In using the patch as one of the stop smoking medications, you will find it will need replaced every 24 hours. Between the waist and the neck is where you will apply the patch. Try to choose an area where you will have firm contact with the skin in order to insure good grip to the skin. The nicotine is released slowly into your system, working to keep you comfortable and more equipped to deal with withdrawal symptoms. Remember, you cannot smoke with the patch. This can lead to a serious nicotine overdose. That is certainly not the results you want from this remedy. The nasal spray has the most immediate release into your bloodstream and may effectively stop a craving in its track! The nasal spray can be used up to 12 weeks. It is recommended using 1 or 2 mist an hour to begin. Set a start date as to when you will begin to taper back. At the end of twelve weeks you will want to be completely finished with using the nasal spray. Be sure to work on coping skills during the treatment time and let your stop smoking medications do their job! While this may at first sound like the preferred method for quitting, we must warn you that these methods don’t improve your success rate much more than just simply going cold turkey. That being said, there is little harm in trying something like acupuncture (as an example). Just be aware that the evidence shows that you are probably going to need more than just these alternative methods to quit smoking. Individuals who want to engage in some of these alternative, non-prescription methods to quit smoking should always consult with their physician. Explain the methods you wish to try; listen to their suggestions and consider the advice that they give. Many of these methods haven’t been thoroughly tested by the FDA. Hypnosis is a tricky one to review. We will say, however, that hypnosis seems to be the most successful of the non-prescription methods for quitting smoking. According to a study done by Ohio State University in 2000, those who underwent hypnosis fared better in terms of abstaining from smoking than those who didn’t. A lack of standards in this field makes determining effectiveness difficult. One thing that did seem promising is when you combine hypnosis with other forms of quitting. This approach has the best long term success rate. We need to start the conversation by stating that many herbal remedies fall under the category of “dietary supplement” and, because of that, they don’t need FDA approval. That means that the manufacturers don’t need to prove their claims. We aren’t saying that the manufacturers are lying; we just don’t have a proven, independent track record. That being said, most herbal remedies specifically designed for smoking cessation work by replacing the nicotine with another similar chemical. Lobelia is the most common used. It’s similar to acupuncture but without the needles. The process uses a cold, soft light to stimulate energy points on the body to release endorphins. Nicotine addiction is a commonly found health hazard found among people across the world. There is a continuous rise in the number of people who are chain smokers and every year many people even die due to this addiction. Medications such as Chantix and Zyban also prove to be helpful for smoking cessation. Zyban works better because it holds bupropion that acts as an antidepressant. It boosts up the level of chemical messengers in the brain and therefore there is nicotine withdrawal symptoms experienced among smokers and a weakened urge to smoke. Studies show that Zyban used along with a nicotine replacement greatly helps one to quit smoking. If you are suffering from seizures or eating disorder or are heavily alcoholic, then studies have proved that one should not take Zyban. Pregnant women or breast-feeding mothers should also avoid taking Zyban. Zyban treatment usually starts when the person smokes and withdrawal symptoms are seen within two weeks. This tablet can be swallowed or crushed and chewed but the later could reduce the activity of the medicine or increase its side effects. 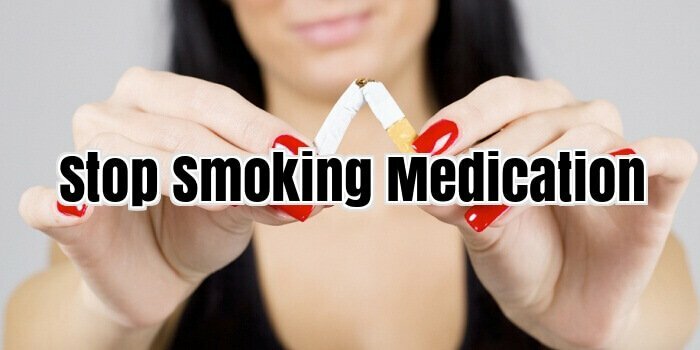 Taking smoking cessation medicines and their support programs shall make you free of this drug nicotine abuse. Even though Zyban is an effective FDA approved medicine, it should be taken only after consulting a medical practitioner to avoid any sort of severe side effects. For those who are looking for the best way to stop smoking weed, one of the common questions is whether or not to use medications to lessen the effects of withdrawal or reduce craving. It’s a difficult question, given the difficulties already inherent in deciding how to quit smoking marijuana, but many people feel it’s best to go ahead without medications. Let’s cut to the chase: withdrawal from any addictive drug can be a hellish experience. That’s why some people try to dampen the withdrawal effects with various medications. There isn’t any drug approved specifically for this purpose, so to combat the anxiety, nausea, night sweats, and sleeplessness, people try all kinds of things. Some try to cut back gradually with a marijuana vaporizer rather than quitting cold turkey. Some feel the best way to stop smoking weed is by trying Benadryl or sleep aids, some go with diazepam or alprazolam to ease the effects, some go with opiates, and some swear by antidepressants like Wellbutrin or bipolar medications. There are a number of reasons why it’s debatable whether medications are the best way to stop smoking weed. The short-term benefits aren’t certain to be beneficial at all, and the long-term disadvantages are enough to give you pause. Particularly with the benzodiazepines, which act on the brain similarly to weed or alcohol, there’s a danger of cross-addiction. The same danger is inherent in opiate use, leading someone from wondering how to stop smoking weed to the more serious question of how to get off the opiates. Given that a person who is quitting pot obviously has reasons to stop smoking weed, it’s possibly not the best plan to risk getting addicted to yet another drug. There are a number of ways you can naturally ease the effects of withdrawal, although none of them will eradicate symptoms entirely. To help you through the rough spots, consider these natural remedies: Drink a lot of water! Water helps flush toxins out of your system, and can help you recover more quickly. Along with your water, try cranberry juice, which has naturally purifying properties. If you’re up to some exercise, sweating is another way to detoxify your body. (If exercise seems a bit much at the moment, you could try a steam room instead.) Take care, though, to replenish the vitamins, minerals, and salts you’ll lose with your sweating. Take multivitamins, potassium and Vitamin B supplements, and eat citrus fruits, bananas—all of which will help to replace the nutrients your body may be missing. Avoid caffeine, which can increase your anxiety, shakes, nausea, and sleeplessness. Instead of your coffee, try herbal green (non-caffeinated) teas. Recommended herbs include damiana, passionflower, mimosa hostilas, and milk thistle. Try meditation or controlled breathing. Deep breathing not only helps oxygenate your tissues and detoxify your body, but also helps decrease anxiety. Without a doubt, one of the biggest questions regarding how to stop smoking pot is the question of how to get through the initial tough period of withdrawal. Although the remedies listed above won’t eliminate the nasty effects—and truly, there’s no magic pill for that, even among prescription medications—they will work to provide your body with what it needs as it adjusts to a new chemical balance. Try combining these methods with a program like Marijuana Anonymous to address the underlying addiction issues you have with pot, and you’ll arrive at what’s truly the best way to stop smoking weed. Cigarette smoke is incredibly hazardous. Whether you smoke first hand or are near second hand smoke, it all has destructive effects on the body. Research has proven that those who smoke for a prolonged time suffer from serious physical conditions. Smoking bans are presently in place in many nations across the globe. How many reasons do you need to stop? Your teeth are ruined, your clothes smell dreadful, and it costs a lot of cash. Your breath becomes disgusting also. Do you light up when you’re stressed out? Do you have a cigarette with your coffee to start the day, or at night with a drink as you unwind? Pinpointing when you crave a smoke can help you set up ways to stay away from or deal with the circumstances. The next step is that you need to find out how to stave off your temptations. Simply telling yourself to avoid lighting up is not often fruitful. Cigarette withdrawal can generate incredibly intense urges and might even cause you to be angry. If you smoke while you drink coffee, a solution is to trim down the quantity of cups you consume every day. If you are an outside cigarette user, remain inside when you are compelled to light up. The third step could be the simplest. Find every item that’s related to smoking in your house and your car and clean it all out. Put your ashtrays, matches and cigarettes in the trash. If you see an item that you really think that you can’t get rid of, try to take into account that this object may also trigger your weakness and wreck all of your progress from stopping smoking. The finishing step is to keep remaining focused. It may seem hard, but as the days pass you would be amazed at how much easier it gets! There is only one stop smoking medication that is currently on the market. It is a drug called buproprion or Zyban and was wholly approved by the Food and Drug Administration (FDA) in 1997. It is not widely popular because its effects are rather subdued and often nonexistent to some smokers. However, several major pharmaceutical companies claim to be close to developing the perfect stop smoking medication – so close that they’re only a step away from obtaining FDA approval. Phizer has developed a stop smoking medication called Varenecline and is now on its testing stage. Varenecline acts by binding the nicotine receptors in the brain and curbing the craving for cigarettes supposedly for good. A drug that works the same way, Champix, is currently being tested on volunteers at the Clinical Research Unit of Leicester Royal Infirmary (LRI). This stop smoking medication works by stimulating the brain’s nicotine receptors to reduce craving. This occurs from day one. Further cigarettes are also made less satisfying, like smoking a “dummy cigarette” somewhat, according to a patient. The trial is so far helping many smokers who have been smoking their whole lives. There are also anti-smoking vaccines currently being developed as stop smoking medication. Nabi Pharmaceuticals is developing and testing a vaccine called NicVax, which works by binding and disabling nicotine molecules in the body. Also under development by the Xenova Group in England is a similar stop smoking medication called Ta-Nic. Another stop smoking medication, Rimonabant, is being marketed under the name Acomplia by French pharmaceutical giant Sanofi-Synthelabo. This stop smoking medication supposedly targets the reward system of the brain to curb the craving for cigarettes. With this in mind, we can only hope that any one or more of these new stop smoking medication would be a success. The addiction is great, but the opportunities are greater. Of course, the drugs should be safe as well as work well. Safety is in fact the main concern, but with the right FDA approval and sanction, stop smoking medications is definitely something worth considering. The majority of medicines on the market that represent NRT (nicotine replacement therapy) are a legal dose which will require a prescription. The other prescriptions available do not contain nicotine. They help control the cravings and work by lessening your happiness in smoking. Stop smoking medications can also be found over the counter. The nicotine is released slowly into your system, working to keep you comfortable and more equipped to deal with withdrawal symptoms. Remember you cannot smoke with the patch. This can lead to a serious nicotine overdose. That is certainly not the results you want from this remedy.